Safe and reliable “Worry-Free Delivery” of sodium cyanide is our primary focus. An optimized supply chain route to each customer’s site ensure the safety of the drivers, miners and communities around us. 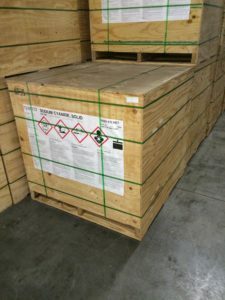 We take special care of each and every shipment of sodium cyanide, whether it is a few boxes of solid material or truckloads of sodium cyanide solution. 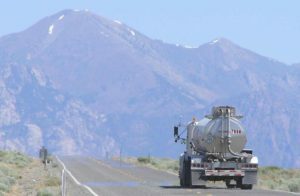 Each of our shipments can be tracked along the delivery route with satellite tracking on all of our truck/trailer combinations, and railroad scans as our tank cars pass by various way points, and we can trace them at any time. We also get daily reports from our drivers and shippers in order to track each shipments movements and progress. The route for the all of our deliveries worldwide are assessed for suitability before hand, and the truck driver to the final destination is always ICMC Certified. At Cyanco we take safety very seriously and never take shortcuts. Cyanide delivery using Cyanco SLS, solid-to-liquid systems, and ISO containers units enable easy use and transportation of solid sodium cyanide. This combination eliminates the physical manipulation of solid sodium cyanide by the mine site personnel, as well as eliminating the need for package disposal, as the ISO containers are returned to Cyanco and re-used. This system has been used for transportation internally by Cyanco for over 20 years and is now available to our clients. While the operating principles remain constant, each unit is tailor-made to adapt to the client’s infrastructure configuration. Depending on the customer’s location, Cyanco can deliver Sodium Cyanide in a 30% aqueous solution. At larger mine sites, where high volumes of sodium cyanide are consumed, the cyanide solution offloads from a liquid tanker directly into the mine’s storage tank in a few minutes, opposed to the longer cycle to dissolve the solid material on site. Sodium cyanide solution can be a big productivity advantage for the mine site. Also, using the solution eliminates the extra time and labor required for un-boxing, dissolving, and disposing of the bag & box packaging. At Cyanco our tank truck drivers ONLY drive sodium cyanide trucks. 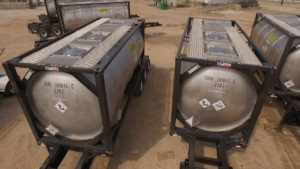 It is a very specialized trade with extensive training, and the drivers are driving custom engineered tanks and trailers for the safe transport of sodium cyanide solution. The tankers have unique internal valves and safety features not found anywhere else to ensure that in the rare event of a truck turn over, no sodium cyanide solution will be released into the environment. Cyanco produces sodium cyanide in briquette form that can be shipped economically on a global scale. The product is packaged in one metric ton boxes that are lined and sealed to prevent ingress of moisture and protect the contents from exposure to the environment.